The history of candles is rich with coups de théâtre and expeditions in remote places. The Romans are the first to use them: to them, they represent the victory of light on the boundaries of night. Even at first, its raw materials mark a separation between social classes: aristocracy and clergy use beeswax, which provide good lighting and diffuse an agreeable aroma, while the folk make do with animal fats, their dim flames and pungent smell. With the Middle Ages come the first quests for new burning matters and scented resins. Soon enough sperm oil becomes the most coveted product: very bright and scentless candles can be made with it, two assets that kick start the hunt for sperm whales. With the Industrial Revolution and the discovery of stearin, new factories flourish in Europe: in Italy, in 1805, a Granducal decree allows Alberto Graziani to “whiten and turn into candles wax imported from the Indies”, thus giving birth to Cereria Graziani. It is then that the family starts a lively business, specializing in domestic lighting. 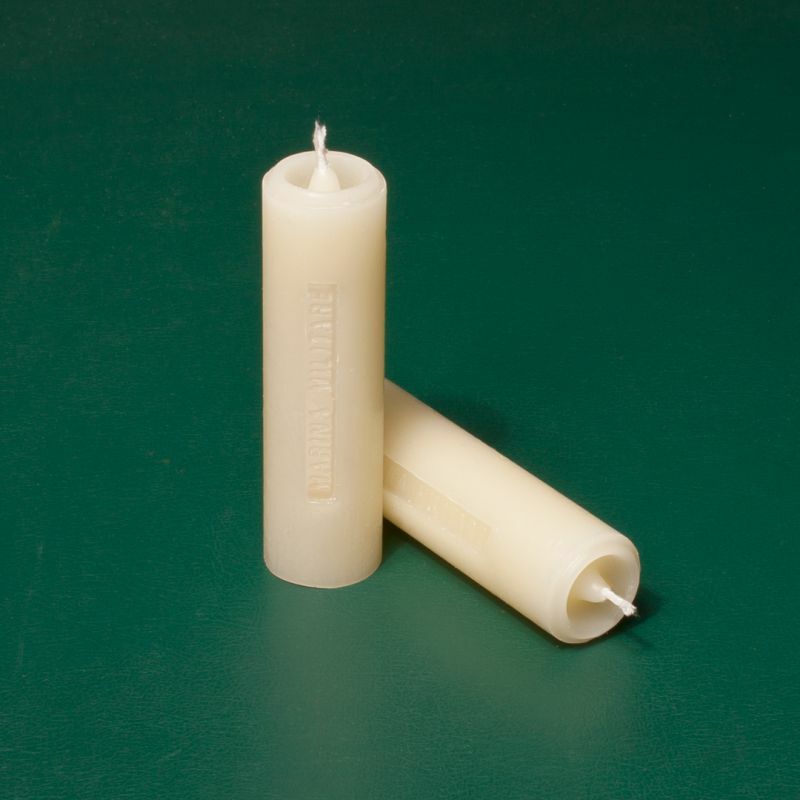 With the arrival of the lightbulb in 1879 the request of candles slows down, but successor Leone has an intuition: opening up to the religious market by producing votive candles. With the end of First World War, Colonel Gino Graziani penetrates the military field, inventing a candle especially made for the Navy: the Nautilus, a stout article with a hollowed-out tip that facilitates kindling operations and limits wax dripping (today the candle is still in production as an homage to the ingenuity of the company’s founders). During Second World War Cereria Graziani is forced to shut down because of the Jewish origins of the family, but from 1945 on Alberto, the new owner, relaunches the production with colorful candles, which are all the rage in the fifties. Today the company, run by Mario Graziani and his family, still preserves its dedication to quality, picking up from a six-generation heritage and launching it on the international market. A love for light that translates in never-ending experimentation and the search of the perfect mix of chemistry, art and history.